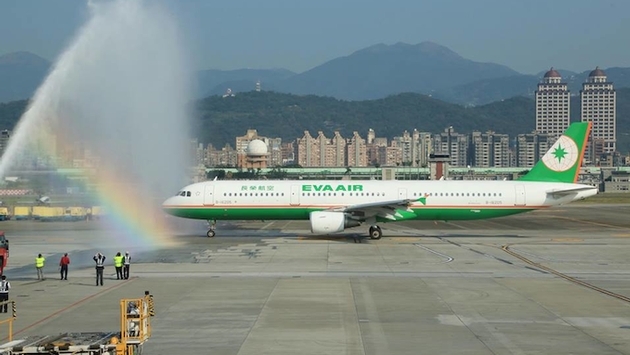 In June, EVA Air will increase its North American service from 45 flights per week to 55, boosting frequency to Los Angeles, New York, San Francisco, Toronto and Vancouver, for a capacity increase of 22 percent. Since joining the Star Alliance last June, EVA has seen an increase in business passengers flying the airline from North America to Southeast Asia via its hub in Taipei. The average load on EVA’s North America flights surpassed 80 percent in 2013 and company officials expect bookings to keep climbing in 2014. It will accommodate this growth and the added frequency by taking delivery of three Boeing 777-300ERs in the second quarter of 2014 and deploying the new aircraft on long-haul flights between North America and Taiwan. EVA is adding the service in two phases. In Phase 1 it will increase Vancouver from three to four flights per week on June 2; Los Angeles from 17 to 20 flights per week and New York from five per week to daily flights and Toronto from three to four flights per week on June 4. In Phase 2 it will increase San Francisco from 12 to 14 flights per week and Los Angeles from 20 to 21 flights per week on July 3. The airline also operates five flights a week to Seattle. The airline has seen stable market-share growth in all six cities it serves, with the growth spurred mostly by American business travelers. All Nippon Airways (ANA) is positioning itself to be ready for what it believes will be a banner year for inbound travel into Japan. ANA and many Japanese officials believe the number of overseas visitors to Japan will break 10 million for the first time in 2014. ANA’s new “By Design” ad campaign promises enhanced lounge and services that will deliver a “5 Star Airline” experience both in the air and on the ground. ANA was recently listed by SKYTRAX as a five-star carrier for being the cleanest cabin airline and delivering good ground support at the airport. The “By Design,” launched in December, concept is reflective of ANA’s high quality meals, seats, entertainment, hospitality and network. ANA is also growing its network. 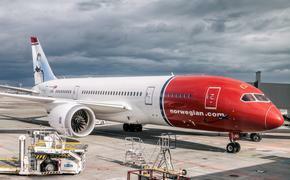 The new international flight schedule for 2014 increases the number of North American destinations it provides from Asian cities. Beginning this spring, ANA is introducing services to Vancouver and Hanoi from Haneda Airport for the first time, and are also increasing the number of North American destinations it services from Asian cities via Narita International Airport. The expansion, effective from March 30, 2014, will make ANA he biggest airline carrier at Haneda, offering the most international flights to and from this airport. Haneda is easily accessible from Tokyo. Though they’re on opposite sides of the world, China and Texas have grown a lot closer lately. Only eight months after Air China launched nonstop service between Houston (IAH) and Beijing (PEK), it’s increasing frequency on the route from four times weekly to daily starting March 30. Operated by the B777-300ER, the service also provides an important link in the chain between Mexico, China and Asia. That’s only one of many changes. On March 31, Air China will increase the frequency of its nonstop New York (JFK)-Beijing (PEK) service from 11 per week to double daily. The aircraft for its nonstop San Francisco (SFO)-Beijing flights will be upgraded to the new-generation B777-300ER on Feb. 11. In June, Air China will launch nonstop Washington DC (IAD)-Beijing service and Air China’s nonstop service between Honolulu (HNL) and Beijing is scheduled to start on Jan. 21. Air China’s B777-300ER offers first and business class cabins with 180-degree flat-bed seats. All cabins have individual entertainment systems with audio-video-on-demand (AVOD) and in-seat USB port.